Planning your wedding or celebrating your anniversary…? Looking for the perfect Wedding Present? Looking for the perfect gift…? 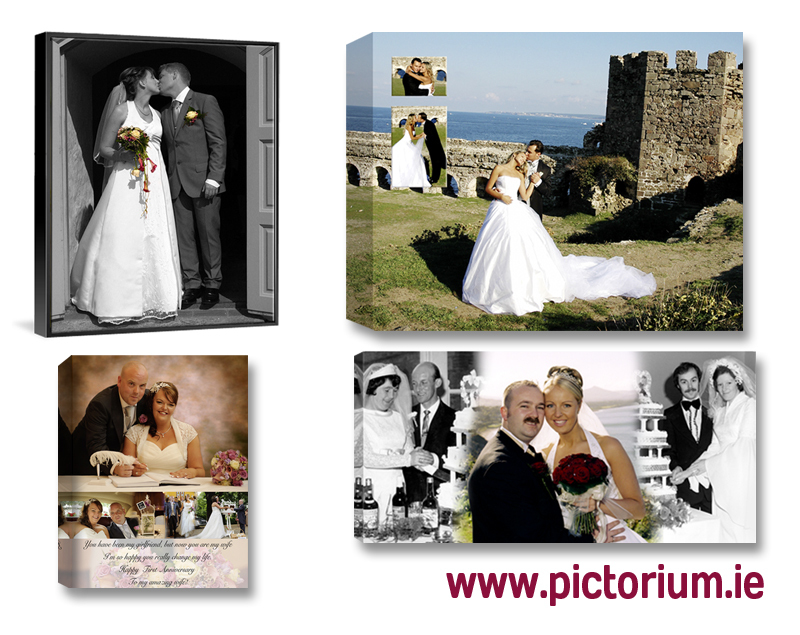 Why not give a Pictorium Gift Voucher. Pop into our Shop Pictorium, Monkstown, Dublin. We have a Gallery Style Shop packed full ideas. Pictorium’s gallery walls display prints and our unique photo collages in every shape, size and style and are printed onto canvas and framed in a wide variety of frames. We welcomed Lucy Mulvihill of Lulu Photography in March of 2016. Some of her superb photography is also on display. Our vast array of photo frames, canvases and canvas tray frames showcase her photography.